Since Jeopardy questions are not fashioned in SQL, and are in fact designed to obfuscate rather than elucidate, IBM’s Watson program used a number of indirect DeepQA processes to beat human competitors in January 2011 (Figure 1). A good deal of the program’s success may be attributable to algorithms that handle language ambiguity, for example, ranking potential answers by grouping their features to produce evidence profiles. Some of the twenty or more features analyzed include data type (e.g. ; place, name, etc. ), support in text passages, popularity, and source reliability. 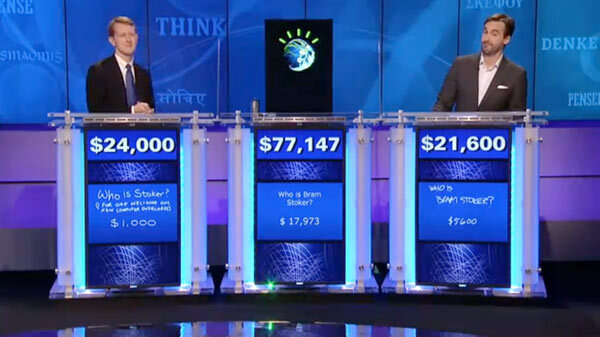 Figure 1: IBM's supercomputer Watson wins Jeopardy! Since managing ambiguity is critical to successful natural language processing, it might be easier to develop AI in some human languages as opposed to others. Some languages are more precise. Languages without verb conjugation and temporal indication are more ambiguous and depend more on inferring meaning from context. While it might be easier to develop a Turing-test passing AI in these languages, it might not be as useful for general purpose problem solving since context inference would be challenging to incorporate. Perhaps it would be most expedient to develop AI in some of the most precise languages first, German or French, for example, instead of English. Group messaging services allow groups to communicate in real time, through mobile apps or on the web. Multiple parties can interact, receive updates simultaneously, and possibly see the location of others and transmit their own. Some of the big names in the space are beluga (acquired by Facebook in Nov 2010), convore, textPlus / GOGII ($15 million financing raised in February 2011), and groupme. Group messaging is like many examples of NewTech - it was initially created to solve a problem, but through use, novel functionality becomes more obvious and new classes of applications are developed. In fact, it is starting to look like group messaging is not about communication, but rather multi-channel information broadcast. One new class of functionality that is enabled is large-scale operations. Going beyond work groups and activity coordinating with friends, there is no reason that groups could not be arbitrarily large. An obvious recent use case is crisis management. Group messaging could be used for crisis alerts (for example, to issue the 80-second advance warning in the Japanese earthquake), and search and rescue. Another large-scale application is voting, or any kind of opinion-measurement. Presumably, group messaging could be a better version of the current real-time pulse of the web, Twitter. Twitter is operating at scale, recently reporting 36 million tweets during the 2011 Oscars, and more during the Grammys and Superbowl, but could benefit from the additional aggregation, stratification, and interaction functionality of group messaging. New research suggests some details of how damaged mitochondria may be responsible for Parkinson’s disease, Alzheimer’s disease, and aging. Mitochondria are the energy powerhouse of the cell. They are managed and distributed via a mitochondrial transport complex involving proteins Miro and Milton which have KHC (kinesin heavy chain), EF hands, and GTPase domains. A pathway related to the functioning of the complex regulates mitochondrial motility through calcium concentration: the higher the level of cytosolic calcium, the lower the mitochondrial motility. Motility is reversibly altered as necessary to meet the energy requirements of any cell, including neurons. Part of this same mechanism may be used by Parkinson’s genes Pink1 and Parkin to bind to the mitochondrial transport complex to permanently inhibit mitochondrial motility, thus blocking dopaminergic neurons. Product manufacturing went offshore from the US and Europe to China. Infotech services were outsourced to India. What is next in this flat world? [Even more] thinking could be outsourced to computers. Memory already has been…spelling, navigation, and fact recall, for example. Several forms of thinking have been already been outsourced to computers too, fraud detection and geological data review in oil exploration are the canonical examples. Passive cognizance could be the futurepath of humans; even more on autopilot than at present, behavior facilitated by personal digital assistants like SIRI based on continuous incoming lifecam and biomonitor data and utility function reassessment.